Charlie is a super fun entertainer with loads of energy. 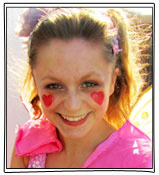 Her party themes include pirates, fairies, ballerinas, princesses and ninjas! 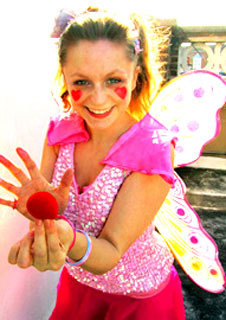 She starts her parties with a fun entertaining meet and greet, then plays terrific games followed by a 20 - 30 minute magic show. 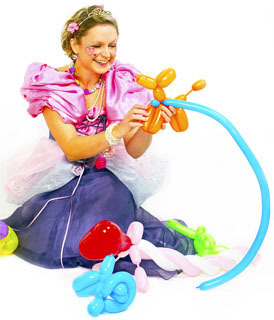 She comes to parties with a parachute and bubble machine, and wows with her fantastic balloon modeling, disco games and competitions. 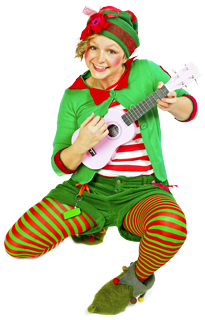 She can add optional cheek painting, drama games and music with ukulele or guitar playing. 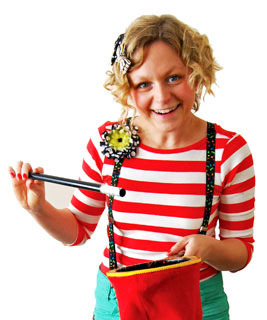 Charlie has been working with and entertaining kids for years and has appeared in children’s shows across the UK.